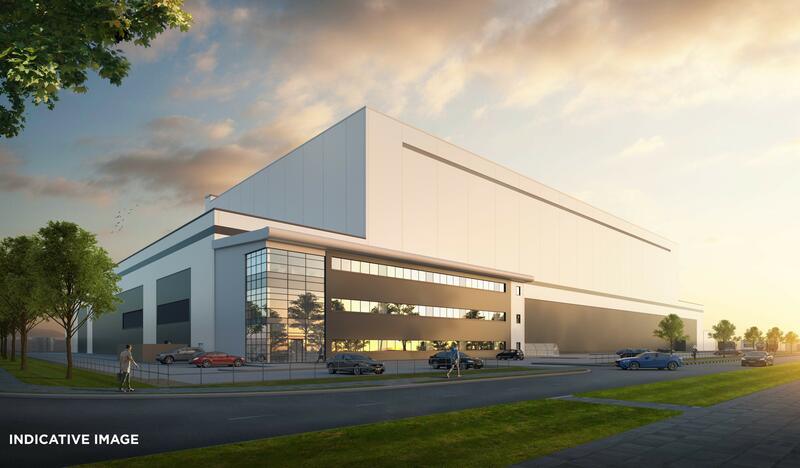 The site will provide LDH (La Doria) Ltd, who supply the major UK supermarkets with food products, a unique, 260,000 sq ft, 42m high automated facility designed specifically around their distribution needs. Panattoni have been working with the client, firstly to identify a suitable site close to the port of Felixstowe and then to secure planning and ensure the project could be delivered in a timescale to meet the customer’s needs. The site, adjoining the A14 on the edge of Ipswich, has most recently been occupied by a former sugar beet factory operated by British Sugar. Ipswich Borough Council are promoting the wider area, a total of 130 acres, as an Enterprise Park. LDH (La Doria) Ltd is the leading UK own-label supplier of canned tomato products, fish, fruit, vegetables, dried pasta and other ambient foods to UK supermarkets. Originating as a family run business, LDH pioneered Italy’s large scale processing of tomato based products and canned vegetables. In June 2018, LDH (La Doria) Ltd were delighted to be voted the UK ‘Own-Label Supplier of the Year’, winning this prestigious and coveted Gold Award from The Grocer. Please click here to view the Timelapse camera.